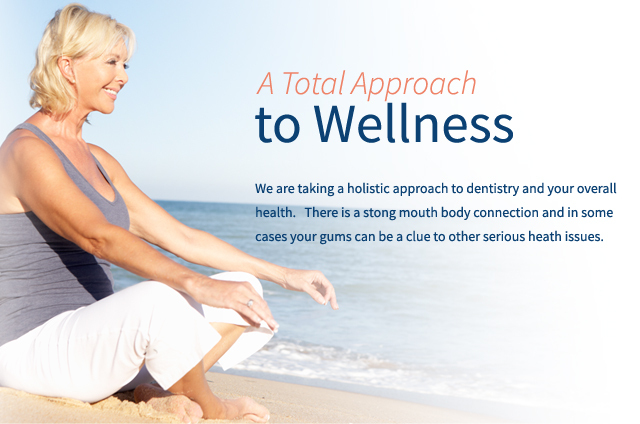 There is a very strong connection between the health of your mouth and the health of your body. Study after study has drawn a relationship between increased risks of a number of severe health conditions and poor dental and periodontal health. Our board-certified periodontist, Dr. Daniel Lauer, is committed to advanced procedures that can help patients renew the strength of their gums and reduce risks to their overall systemic health. Dr. Lauer is also known for his emphasis on successful diagnosis and treatment of oral cancer and other oral pathologies, and offers routine screenings to identify any irregularities. Dr. Lauer is a board-certified periodontist who has been specialty-trained in laser gum treatment. Although many general dentists offer a range of periodontal care options, a periodontal specialist dedicates his entire career to treating conditions of the gums and combines advanced treatment techniques with years of experience in this particular area of expertise. The following section of our website is dedicated to exploring the connections between gum disease and overall health, as well as topics on oral pathology and oral cancer. If you would like more information, or if you would like to schedule an appointment for a comprehensive oral evaluation, please contact Precision Periodontics & Implant Dentistry today. The good news is, gum disease can be treated and the condition can be prevented from advancing to more serious stages. When bacteria in your mouth forms plaque along the gumline, the plaque can form into tartar and invade the soft tissues of your mouth, ultimately causing periodontal disease. If left untreated, periodontal disease will progressively get worse, leading to bone loss, shifting of the teeth, loosening of the teeth, and ultimately tooth loss and/or severe health complications. Dr. Lauer offers a variety of advanced treatments, including the virtually painless Waterlase MD™ laser technique, which can remove the bacteria and cleanse the gums of infection. In addition, Dr. Lauer can also improve the appearance of the gums when advanced-stage gum disease has taken its toll. If you have diabetes, particularly if it is uncontrolled diabetes, you have a higher risk of oral bacterial infection and gum disease. These infections can disrupt your ability to process insulin and lead to more difficulty controlling your blood sugar. This makes it even more important for you to have very good daily brushing and flossing routines, in addition to making regular trips to the dentist for professional teeth cleanings and oral evaluations. You should also be sure to let your dentist or periodontist know of your medical history and your current condition. Maintaining good control of your blood sugar levels can also help stave off periodontal infection and improve the outcome of any periodontal therapy. Oral cancer is a life-threatening health risk, and it is critically important to have regular oral cancer screenings to identify any problems as early as possible. With early diagnosis and treatment, patients with oral cancer can significantly reduce the risks that this condition can pose. In fact, it’s estimated that you can increase your chances of survival by 80 to 90 percent with early treatment. Dr. Daniel Lauer offers painless oral cancer screenings here at Precision Periodontics & Implant Dentistry. In fact, Dr. Lauer is often referred to by oncologists in the area for oral cancer treatment, and has routinely performed successful procedures for patients who have been diagnosed with oral cancer. Early-stage oral cancer does not often display noticeable symptoms, making it even more important to have regular screenings for the condition. Areas that can be affected are the gum tissue, tongue, cheeks, palate, lips, and even the face and/or neck. Note that you may not feel pain with symptoms, and in some cases, you may not associate the pain you feel with the fact that it may be oral cancer. That’s why it’s important to see a doctor at the first sign of any kind of oral or facial pain. It’s also important to do oral cancer self-examinations on a monthly basis, and never ignore anything you might deem irregular. Dr. Lauer recommends at least two professional oral cancer screenings per year. They can often be part of a regular dental or periodontal check-up. For patients who are currently undergoing chemotherapy treatment for cancer, it is not uncommon to experience oral health changes as a side effect. Dr. Lauer is a board-certified periodontal specialist who is often referred to by other doctors throughout the community to help patients with excessive bleeding in the gums and other conditions sometimes caused by chemotherapy. Many routine dental treatments can be complicated due to chemotherapeutics and Dr. Lauer works closely with your oncologist to enhance your oral health during cancer treatments. If you would like to learn more about periodontal disease and steps that can be taken to treat current problems and prevent them from getting worse, or if you are in need of screenings or treatment for oral conditions associated with cancer or cancer therapies, please contact Precision Periodontics & Implant Dentistry. We are also happy to help you schedule a consultation and oral evaluation with Dr. Lauer.